If you have not renewed your Spring parking pass please do so today. Take your Fall parking pass and the $50 fee to Mrs. Weaver. First time applicants please see Mrs. Weaver for a parking pass application. Valentine candy grams will go on sale today and run through Friday, Feb 10th during all 3 lunches. The cost is $1 for a regular and $2 for a deluxe. Students for Social Justice is holding their annual winter clothing drive. Through Thursday, Feb 16th drop off your old winter clothing in the drop boxes placed around the school. Everything collected will be donated to Avalon and Fish. Each year over 2,600 teens die in automobile collisions, 81% of them were passengers. Whether you are driving or riding, remember to always wear your safety belts. The last day for makeup SOL testing and Expedited Retakes is Wed, February 1st. All Seniors who are scheduled for an SOL will be tested on Thursday, February 2nd. The SOL schedule is posted on the LHS website and outside 600. Please see Mrs. Howell in 600 during lunches with any questions. It’s time to renew your Spring parking pass. Take your Fall parking pass and the $50 fee to Mrs. Weaver today. First time applicants please see Mrs. Weaver for a parking pass application. You must have a valid parking pass by Tuesday, Jan 31st to park on school grounds. Students for Social Justice is holding their annual winter clothing drive. Starting today through Thursday, Feb 16th drop off your old winter clothing in the drop boxes placed around the school. Everything collected will be donated to Avalon and Fish. Track practice will be on Thursday right after exams. There is a track meet Monday, Jan 30th, all athletes must be at LHS by 1:00pm for our last BRD meet of the season. It’s time to renew your Spring parking pass. Take your Fall parking pass with the $50 fee to Mrs. Weaver. First time applicants please see Mrs. Weaver for a parking pass application. You must have a valid parking pass by Tuesday, Jan 31st to park on school grounds. 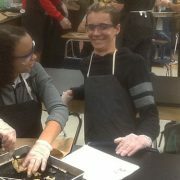 Frog Dissection in Ms. Milligan’s Biology class. 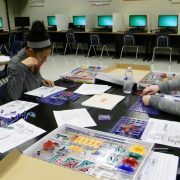 https://wjccschools.org/lhs/wp-content/uploads/sites/20/2017/01/Milligan-Frog.jpg 375 665 Amy Wallisch https://wjccschools.org/lhs/wp-content/uploads/sites/20/2017/10/Lafayette-High-School.png Amy Wallisch2017-01-24 14:27:232017-01-24 14:27:23Frog Dissection in Ms. Milligan's Biology class. It’s time to renew your Spring parking pass. Take your Fall parking pass and the $50 fee to Mrs. Weaver. First time applicants please see Mrs. Weaver for a parking pass application. You must have a valid parking pass by Tuesday, Jan 31st to park on school grounds. Mr. Aadahl’s engineering students learn how to build electronic circuits. It’s time to renew your Spring parking pass. Take your Fall parking pass and $50 fee to Mrs. Weaver. First time applicants please see Mrs. Weaver for a parking pass application. You must have a valid parking pass by Tuesday, Jan 31st to park on school grounds. Congratulations to our NAACP ACT-SO honorees! 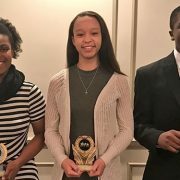 https://wjccschools.org/lhs/wp-content/uploads/sites/20/2017/01/NAACP-ACT-SO-honorees.jpg 375 710 Amy Wallisch https://wjccschools.org/lhs/wp-content/uploads/sites/20/2017/10/Lafayette-High-School.png Amy Wallisch2017-01-20 12:46:542017-01-20 12:47:18Congratulations to our NAACP ACT-SO honorees! Do you like to sing, act, and dance or would you like to learn? It is not too late to audition for the spring musical “Fiddler on the Roof”. Auditions are today after school in the black box theatre room 623. No experience necessary, please see Mrs. McCorry for an audition form. The time to renew your Spring parking pass is here. Take your Fall parking pass and the $50 fee to Mrs. Weaver. First time applicants please see Mrs. Weaver for a parking pass application. You must have a valid parking pass by Tuesday, Jan 31st to park on school grounds. The ASL Club will be meeting today after school from 2:30-3:30 in room 201. Do you like to sing, act, and dance or would you like to learn? It is not too late to audition for the spring musical “Fiddler on the Roof”. Auditions are today and tomorrow after school in the black box theatre room 623. No experience necessary, please see Mrs. McCorry for an audition form. The time to renew your Spring parking pass is here! Take your Fall parking pass along with the $50 fee to Mrs. Weaver. First time applicants please see Mrs. Weaver for a parking pass application. You must have a valid parking pass by Tuesday, Jan 31st to park on school grounds.